Kim Guthrie is President of Cox Media Group (CMG), an integrated broadcasting, publishing and digital media company and a subsidiary of Cox Enterprises, Inc., based in Atlanta, GA. As President, Guthrie oversees all content, sales and operations for 14 broadcast television stations; over 60 radio stations; 4 daily newspapers and over 80 digital sites. Previously, Guthrie was EVP of National Ad Platforms and President of CoxReps, based in New York City. Prior to that, she was EVP of Radio where she was responsible for all programming, operations and sales for CMG’s radio division. During her time at CMG, Guthrie has also served as Sr. VP and Group VP for CMG, overseeing multiple Cox television and radio properties. 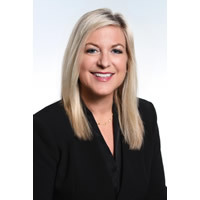 Guthrie first came to Cox in 1998 as VP/General Manager for its Long Island, New York group of radio stations and her stations have won multiple honors for programming excellence and outstanding community. She serves on the executive board of directors for the National Association of Broadcasters (NAB), and serves on the board of directors for the Broadcasters Foundation of America, the National Association of Broadcasters Education Foundation (NABEF), and the Metropolitan College of New York and has been recognized with a number of honors. Her career began as a journalist and includes several years as a television news reporter and anchor.